Does Your Dryer Vent To The Roof – It Could be a Fire Risk! We see so many second floor dryers that vent to the roof that are seriously a potential fire hazard over time. If you have a second floor laundry room your vent will terminate either on the roof or on the side of your home. Whilst it is great to have a second floor laundry room, it is very difficult for most home owners to make sure the vent cap or roof vent is kept free from lint build up. Some second floor dryers are close to the outside wall making it easy for the home owner to disconnect the dryer from inside and reach in to clean the dryer vent. However many laundry rooms are in the middle of the home with longer runs that are impossible to clean without professional equipment, or they are venting up to the roof. 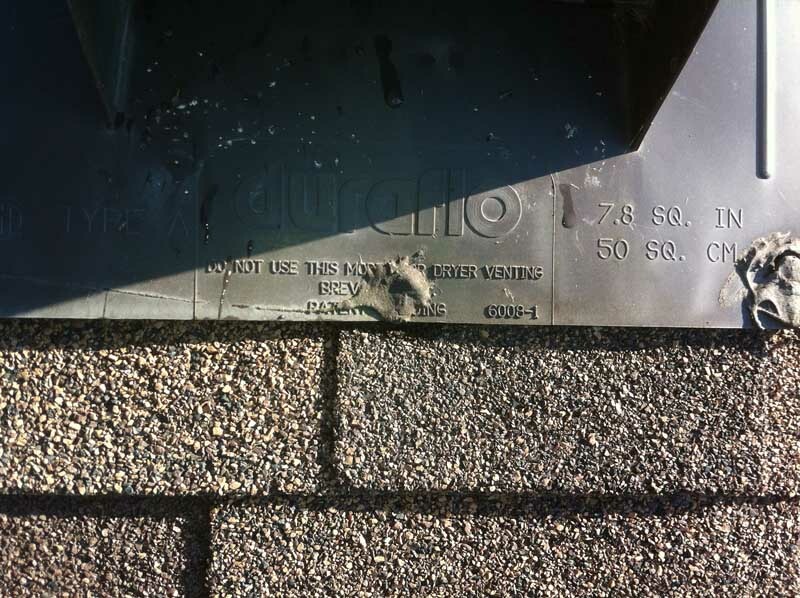 Roofers Using Wrong Roof Vents Could Lead To a Dryer Fire! It is not fair to say roofers cannot read, but when a dryer roof vent says “Do Not Use This Model for Dryer Venting” it does make one wonder! 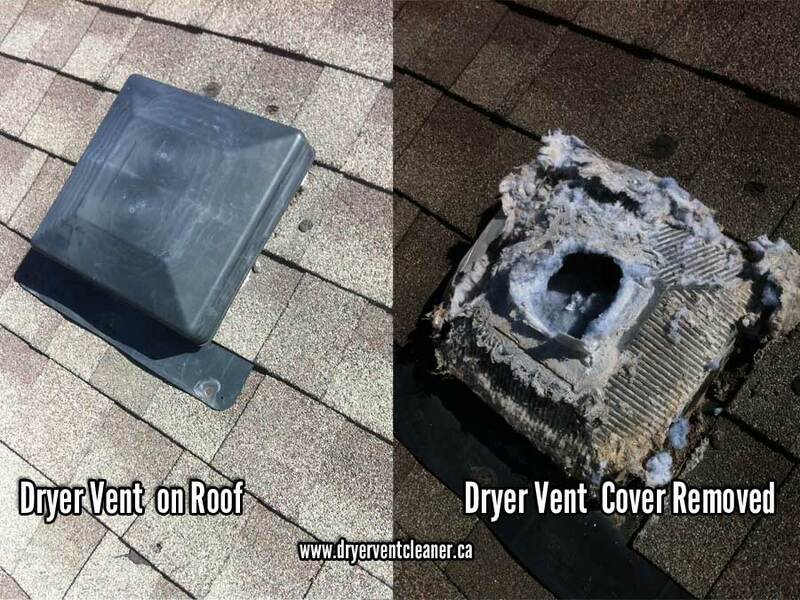 Here at dryer vent cleaner we can only assume that when roofs are shingled or re-shingled they do not always know which vent is the dryer vent. It’s not hard to determine but when under pressure to get the job done it can get over looked. However after re-shingling it’s easier to determine as lint is normally present in the vent. So What’s the Problem with Dryer Roof Vents? Well apart from the obvious fact they are out of sight and out of mind, they cannot be checked by the homeowner to ensure they are not clogged! In fact many homeowners do not know where their dryer vents to. 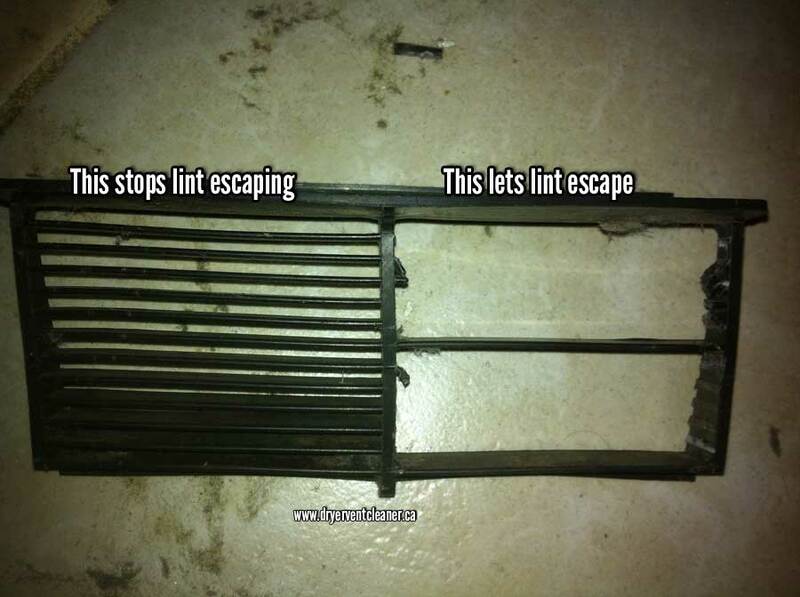 The main issue with the dryer vents are they have screens at the end preventing lint from escaping. This causes lint build up through the dryer duct and then to the inside of the dryer itself. This lint build up prevents the dryer from blowing the damp air and lint outside as fast as it once did. Which takes longer to dry each load, uses much more energy (higher electricity bills) and results in premature dryer repairs (thermal fuzes, heating element) through the dryer working harder and overheating. Dryer Vent Cleaner have determined that most roof dryer vents need to be modified to prevent lint build up and ensure lint has a better chance of getting out! Whilst this does not mean the dryer vent does not need to be cleaned it helps reduce how often cleaning is required. Not many companies clean dryers and dryer vents, and even less will clean roof top dryer vents, we do it all for you to ensure safe, efficient drying. When you call in Dryer Vent Cleaner you are guaranteed a professional job. We alway provide photographs of what it’s like up there so you know what it was like before and after.